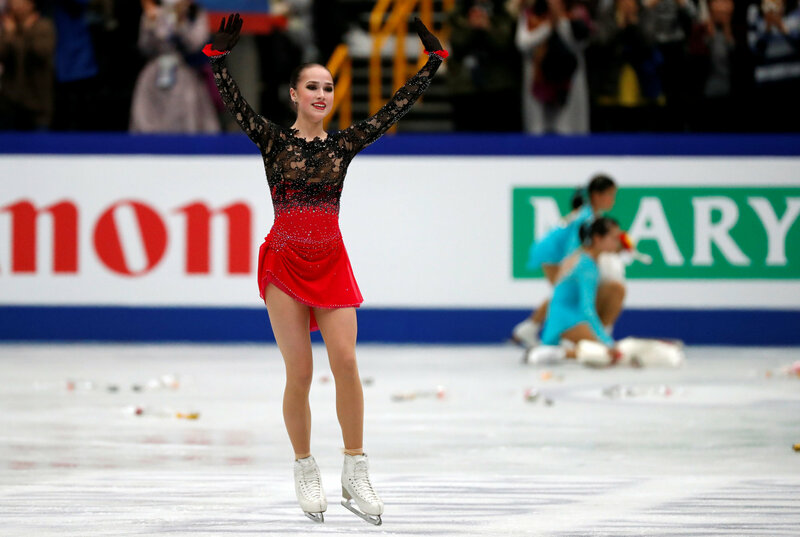 SAITAMA - Olympic champion Alina Zagitova won her first senior world title in impressive fashion on Friday night. 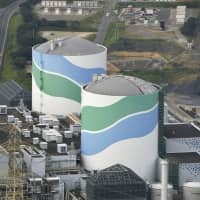 The 16-year-old topped the field at the world championships by more than 12 points with a total score of 237.50 points. Kazakhstan’s Elizabet Tursnybaeva took the silver with 224.76, while two-time world champion Evgenia Medvedeva settled for the bronze at 223.80. 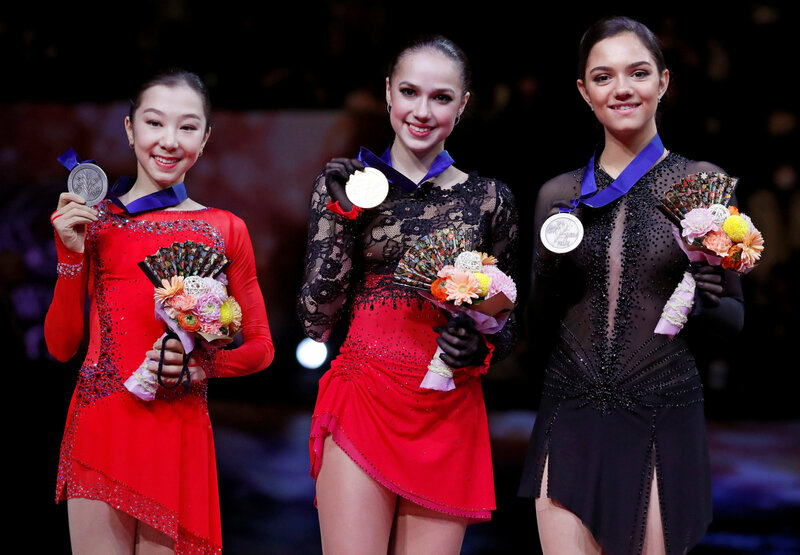 It was a disappointing night for Japan, as it finished off the medal stand after taking the silver (Wakaba Higuchi) and bronze (Satoko Miyahara) at last year’s worlds in Milan, Italy. 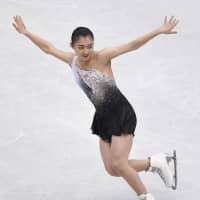 Rika Kihira, the favorite for the world crown entering the competition, fell on her second triple axel and ended up fourth with 223.49. Kaori Sakamoto came in fifth at 222.83, with Miyahara sixth on 215.95. Zagitova skated to “Carmen Suite” and illustrated why she triumphed at the Pyeongchang Games. The Moscow native put on a gallant show, hitting six triples and earned level fours for her spins and step sequence. After finishing fifth at last year’s world in Italy, the victory here was sweet redemption for the teen. Zagitova acknowledged that her experience in South Korea last year was beneficial. Tursynbaeva performed to “Otono Porteno” and wowed the crowd with a titanic quadruple salchow on her very first jump. She added six triples to go along with level fours on her spins and step sequence. 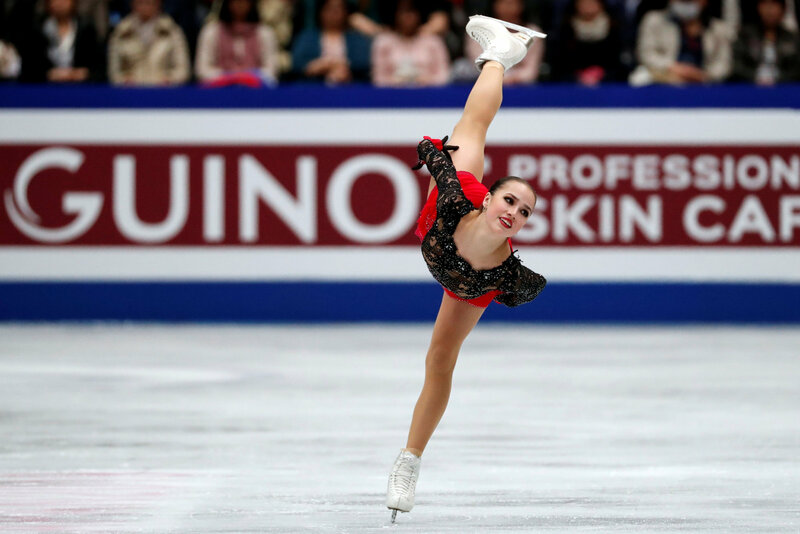 Medvedeva, the silver medalist in Pyeongchang, turned back the clock to the time before her injury in late 2017 and put on a fine show. She landed seven clean triples and received level fours for her spins and step sequence. The lone miscue came on her final double axel, which she under-rotated. She pumped her fist when she finished as if to indicate she was back at her best. 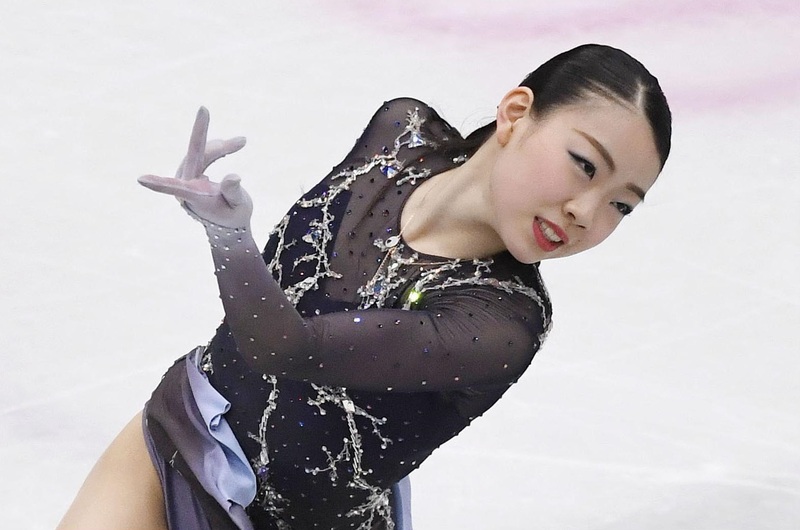 Kihira, who won the Grand Prix Final this season, competed to “A Beautiful Storm” and had a promising start, landing a huge triple axel/triple toe loop combo. 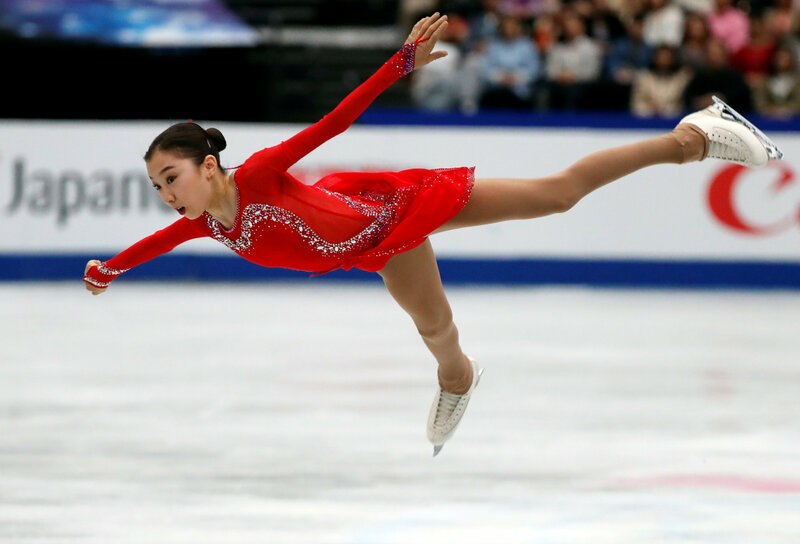 However, she fell on her second triple axel, which definitely cost her a shot at a medal. The 16-year-old landed six triple jumps and received level fours for her spins and step sequence. Sakamoto skated to “The Piano” and looked in good position to have a shot at the title. She was poised to take home a medal until she singled her triple flip late in the program. Sakamoto landed six clean triples and posted level fours for her spins and step sequence, but the one miss was unfortunate. The Kobe native praised her choreographer Benoit Richaud despite her result. 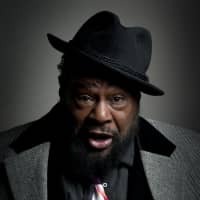 “I received a lot of advice from Benoit, so the connection and the spins could get better,” Sakamoto said. Miyahara skated to “Invierno Porteno” and put in one of her typically consistent performances. 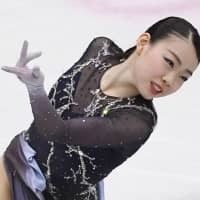 She was sublime throughout with the only blemish coming on the back end of her three-combo jump (triple flip/double toe loop/double loop). Kaetlyn Osmond of Canada, who won the world title last year, did not compete this season. France’s Gabriella Papadakis and Guillaume Cizeron lead the ice dance following the rhythm dance with 88.42. Russia’s Victoria Sinitsina and Nikita Katsalapov are in second (83.94), with their compatriots Alexandra Stepanova and Ivan Bukin in third (83.10). The free dance is set for Saturday afternoon.